What is coacing? Coaching is a guided process; in which the coach helps you find your own solutions to the problems you’re handling. In coaching, we believe that each one of use has the best solution for our problem, but we don’t allocate enough time, or we don’t see the other half of the glass. Why coaching? Because this way we help you find your own solution. If you find the best solution for yourself, you will be more determined to implement it. Is coaching for me? If you would like to develop more, then yes – it is for you! If you are coordinating teams or processes and would like to have more success – it is for you! There are a lot of approaches, but we concentrate on Solution Focus Coaching. Steve de Shazer and Insoo Kim Berg are the masters of this approach and they developed it in coaching, management and consultancy. Identify the best strategy in order to improve the team performance. Specific objectives will be set together with the coachee and his manager. Delegation abilities – how to improve them? How to handle difficult members of the team? Follow up and evaluation together with the manager and the coachee. 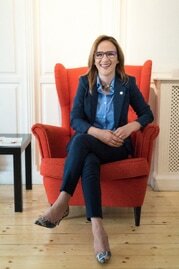 After an 8-year experience in finance, sales administration and ERP implementation in a multinational environment, Lucia decided to lay down the foundation of Step Up, a company that offers human resources services. 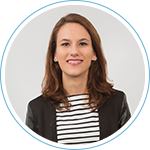 Lucia is an emphatic person, always willing to come up with new solutions, both for the clients and for the company, but also for the team she’s part of. She is promoting a collaborative and informal leadership and is continuously investing in her personal development. 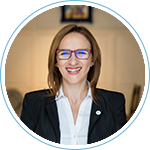 Having more than 10 years’ experience in human resources, Lucia worked with different well-known companies as: Bosch Communication Center, Frigoglass, Continental Automotive, Hella Romania, Hamilton, Infobest, TMD Friction and many others. Development of procedures for hiring, induction, performance appraisal, employee recruitment and selection, discipline, benefits and compensation & others.